You are getting all the benefits of juicing in an easy to mix powder that takes no time or clean up! Because modern diets increase internal acidity, the body will often try to find balance by robbing minerals from bones and tissues. This phenomenal pH balancer is packed with healthy, alkaline, whole food greens that you won't find in your grocery store (Alfalfa Grass, Astragalus, Barley Grass, Bitter Melon, Chlorella Cracked Cell, Gotu Kola, Kale, Spirulina, Oat Grass, and Wheat Grass.) This booster delivers a massive dose of antioxidants, improves nutritional intake and lowers acidity levels in body to create a more balanced pH. 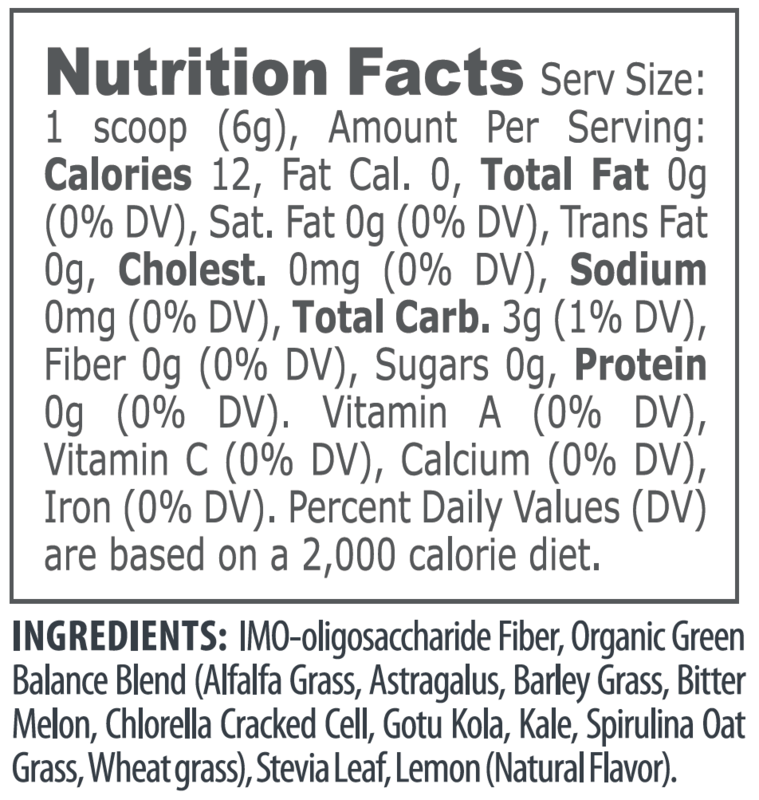 It also delivers 3 grams of greens and 3 grams of dietary fiber per serving. Add one (1) scoop to Y Nutrition Shake. Add an additional 2oz of liquid to the liquid required for Y Nutrition Shake. Shake well and enjoy. *The ultimate experience comes together when you use the entire Y+O+U system. While these bio-boosters are a nutritious stand-alone supplements that can be mixed in water or added to a fresh smoothie, they are perfectly formulated to interact with the mineral and protein blend found in our all-natural shake. Reset your nutritional balance and build new healthy habits.